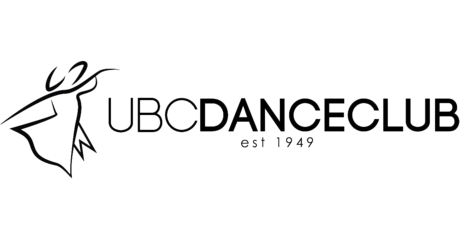 UBC Dance Club offers a variety of classes for all skill levels, all year round! We will be offering Newcomer, Intermediate, and Advanced classes starting the week of September 25th and throughout Term 1. Class descriptions and details can all be found on this page. If you are in an ongoing class or are interested in class content, we publish class notes (detailed descriptions of all figures taught in class) here as well. Our regular classes run from the end of September through the end of March, with a short break for the winter holidays. We have a variety of classes catering to all kinds of dancers, all run on campus. Newcomer classes are designed for the absolute beginner, a friendly environment to introduce you to ballroom dancing. The first week of lessons (week of the 24th, Monday-Thursday) are FREE. That’s right, you can try out all of the lessons in the first week before you make a decision. No partners required. Come, wear comfortable shoes and clothing, and get ready to meet new people! Newcomer classes are offered four times a week, taught by various instructors to help you figure out if you prefer a certain teaching style. All four classes in each week cover the same material, so if you only go to at least one every week, you’ll be able to keep up with the pace. However, if you want extra practise and more fun, you can go to as many Newcomer classes as you like at no extra cost! Make sure to check the calendar for cancellations and relocations! If you drop-in for up to two classes and later decide to purchase a package, you will get a discount on the package equal to the drop-in fee you paid. Come by our office (AMS Nest 3301C) or any one of our classes to register in person! We accept cash, cheque (payable to “UBC Dance Club”), or credit card (we can’t take debit, but there are many ATMs in the Nest). Building on the basics taught in Newcomer, Intermediate introduces the next level of figures and has more technical focus. To enter the Intermediate level dance classes, you must have either successfully passed your Newcomer Level Test or successfully passed an audition. Intermediate classes are offered once a week. Advanced classes are designed for higher level dancers and feature a wide range of more challenging syllabus moves and even open figures! To enter the Advanced level, you must have either successfully passed your Intermediate Level Test or successfully passed an audition. Advanced class is separated into Standard and Latin hours. Registration for Advanced gives you access to both, they do not come separately. Focusing solely on technique and form, Tech classes help refine the intricate details of your basic steps to elevate your dancing. They are available to all students, even newcomers! Details for our Technique class will be released near the end of the calendar year. Please note that the Technique class is not offered every year. Our summer class for those who want to continue improving their dancing throughout the summer, while also offering prospective dancers an introduction to ballroom dancing! Most of the steps and routines will be similar to the Intermediate level but newcomers are welcome. Details of our 2019 Summer Dance Classes will be released near the end of March 2019.